Film-Arcade.net: Uncork'd Entertainment Takes a Trip to "Beacon Point"
Uncork'd Entertainment Takes a Trip to "Beacon Point"
Uncork'd Entertainment recently send us information that they've acquired the sci-fi/horror film "Beacon Point". The film stars Rae Olivier, Jon Briddell, Eric Goins, Jason Burkey, and RJ Shearer. "Beacon Point" will be released in 2017. 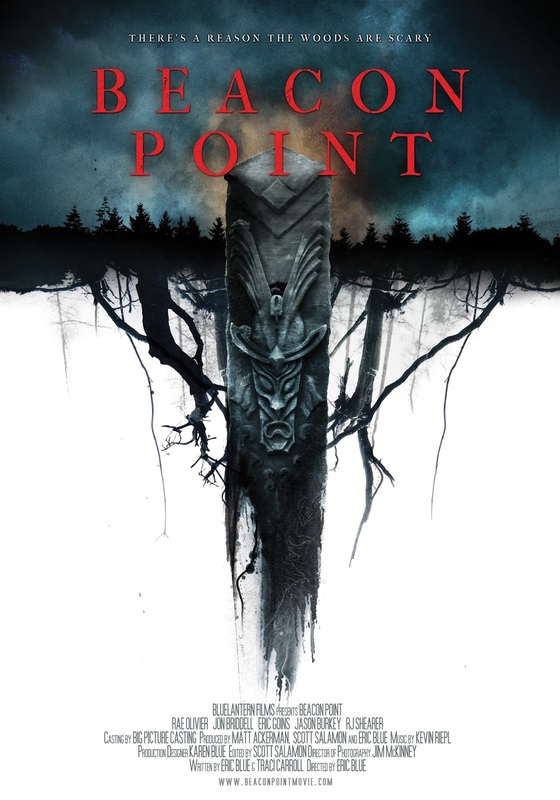 For more information on this film, you can visit the film's official Facebook page at : https://www.facebook.com/beaconpointmovie . Highly-anticipated science-fiction thriller Beacon Point has been picked up for distribution by Home Entertainment and Theatrical Film Distributor Uncork'd Entertainment. The film, called “an intelligent and interestingly innovative inferno of horror, science fiction, folklore and thrills”, is the brainchild of rising newcomer Eric Blue. "We are excited to be working with Uncork’d on the release of Beacon Point domestically," says Blue. "They have a great reputation and track record.” The Georgia-produced chiller, produced by Blue Lantern Films, is will be released sometime in 2017. Rae Olivier, Jon Briddell, Eric Goins, Jason Burkey, and RJ Shearer star in an Eric Blue film, written by Blue and Traci Carroll. Uncork'd Entertainment will release KRAMPUS UNLEASHED November 1 on VOD and December 13 on DVD. Uncork’d Entertainment’s recent releases include critically acclaimed comedy SPAGHETTIMAN, THE EVIL GENE, THE HOLLOW, in theaters October 7, and DOOMED : THE UNTOLD STORY OF ROGER CORMAN’S FANTASTIC FOUR, released on digital October 11.